Stephen Della Croce is the Board President of For Kidney's Sake. 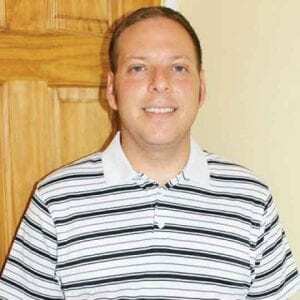 With over 11 years of experience in the Nutrition & Wellness field, Stephen Della Croce has specialized in kidney disease, weight management, diabetes, Vitamin-D and heart disease. He has both Master’s and Bachelor’s degrees in Nutrition Science from Brooklyn College and completed his Dietetic Internship at LIU. Past leadership positions include President of the Long Island Dietetic Association, Chair of the Greater NY Council on Renal Nutrition, and currently Board President of For Kidney's Sake, Inc.